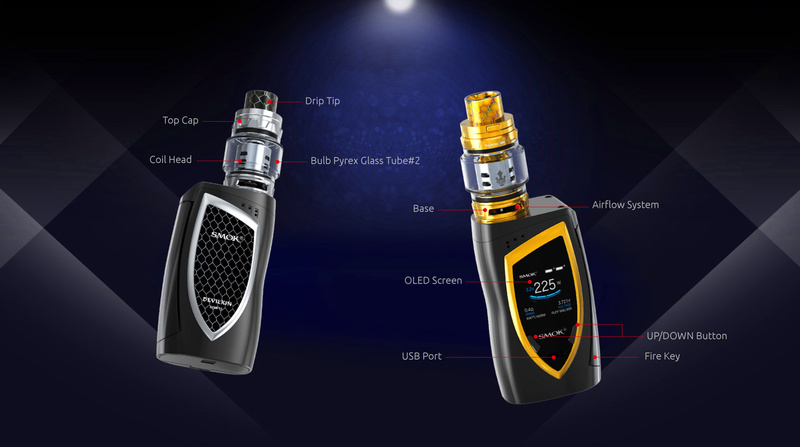 Smok Devilkin Kit uses the blade-shaped design on both the front and back sides. 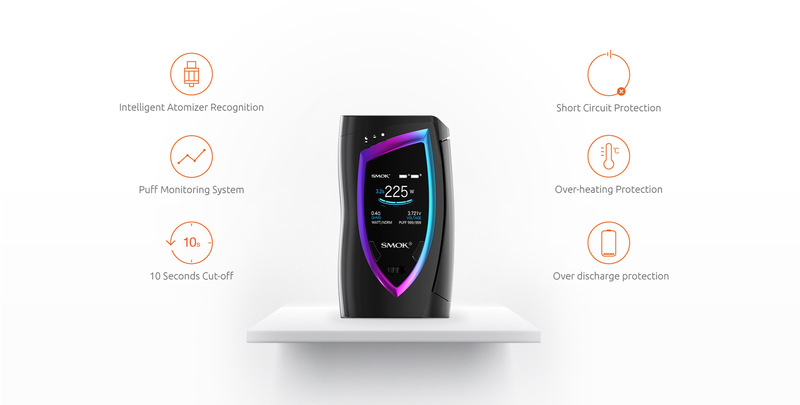 The lateral body adopts curve design to show its elegant lines. Snake pattern on the back side is in harmony with the cobra drip tip, fully presenting your unique personal taste and charm. 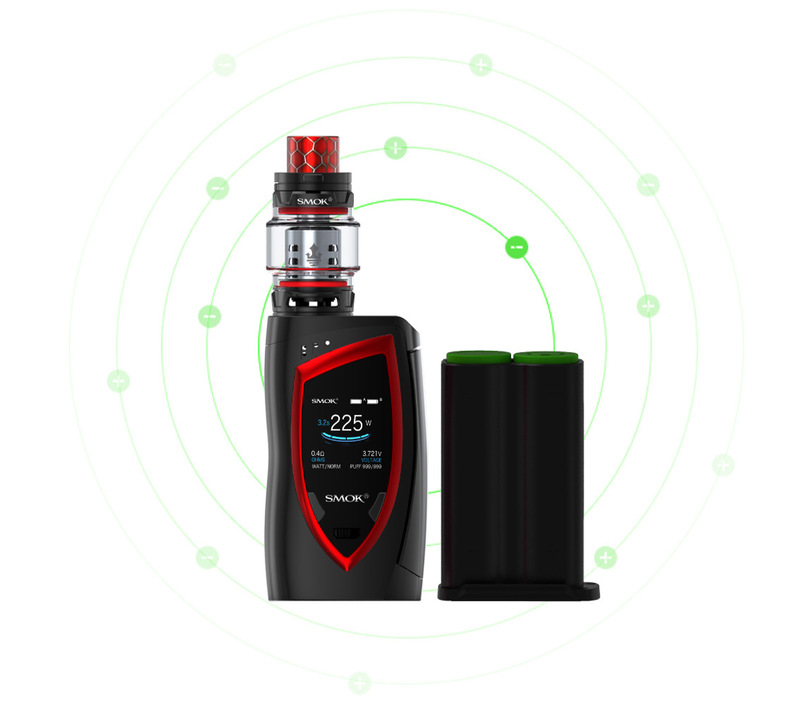 The Devilkin mod comes with 1.3inch screen with high-definition that displays more parameters and upgraded user interface. 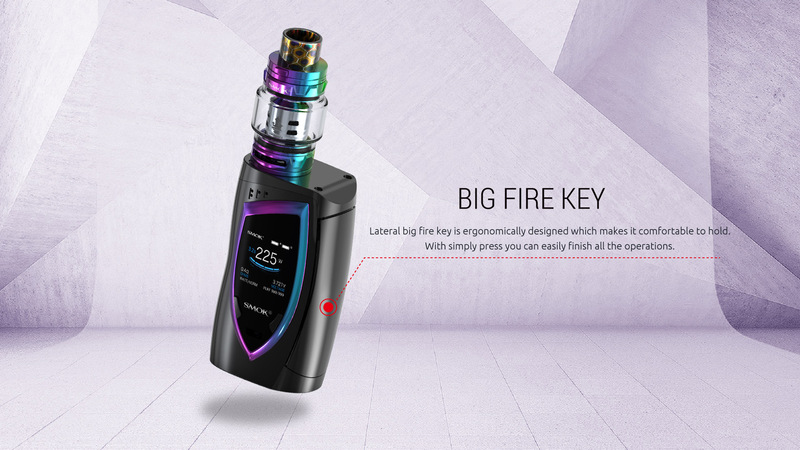 The big fire key is simply to press, you can easily finish all the operations. 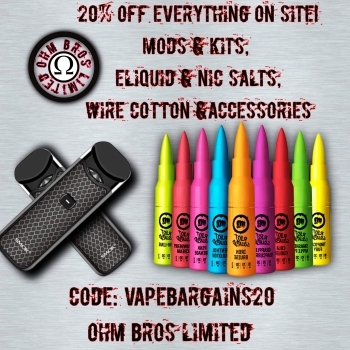 This mod requires dual 18650 cells and support 225W maximum output. 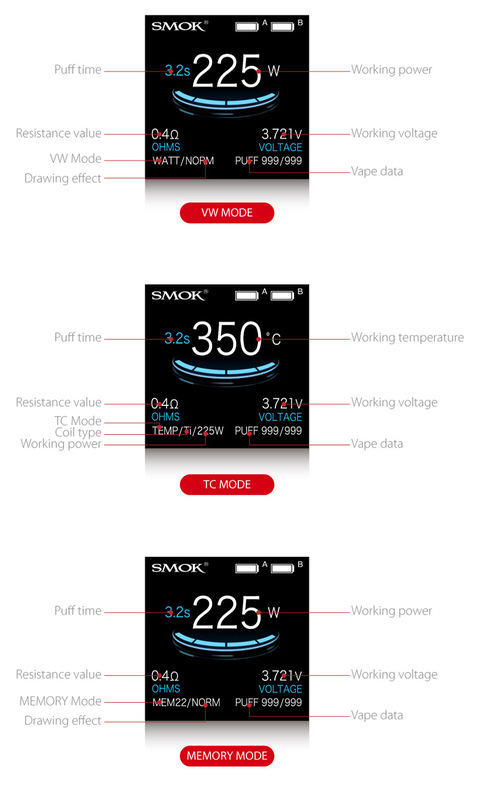 There are 3 modes for you: VW mode, TC mode (Ti, Ni, SS) and MEMORY mode. 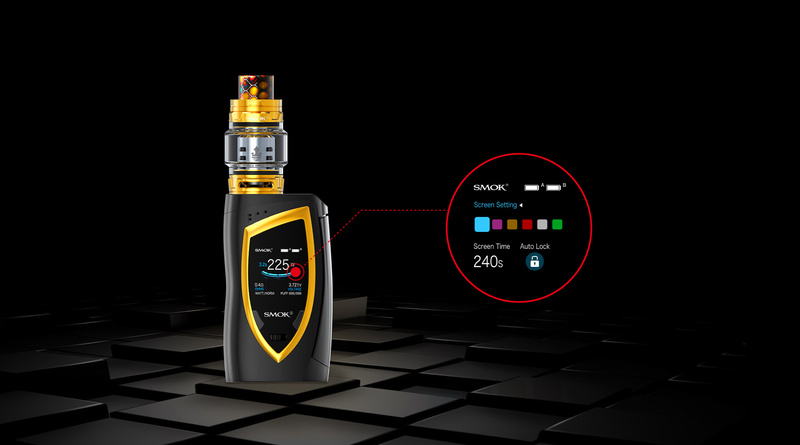 The TFV12 Prince tank can hold 8ml large capacity e-juice and comes with patented locking mechanism on top cap. 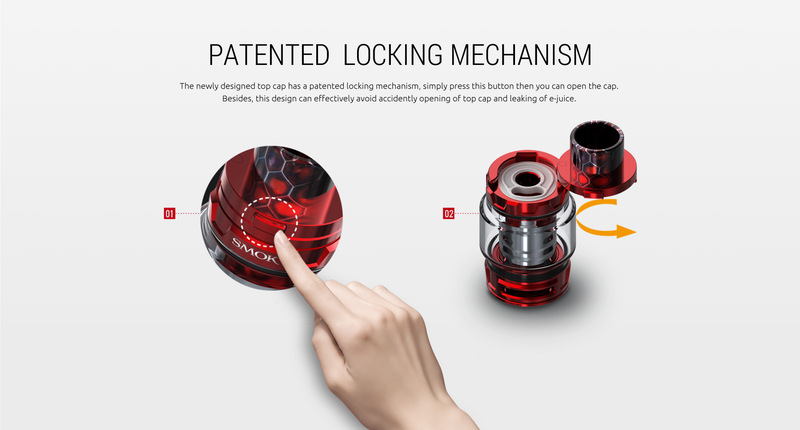 This design avoid leaking problem. 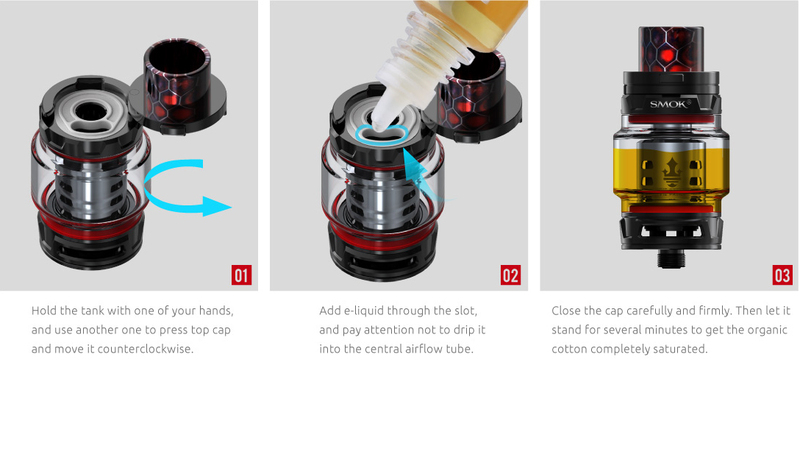 Top filling system makes refill easier.